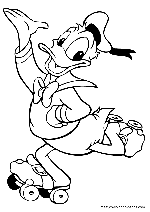 Donald Duck is an American cartoon character from The Walt Disney Company. 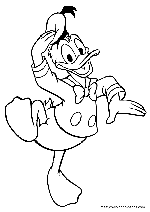 Donald is a white anthropomorphic duck with a yellow-orange bill, legs, and feet. He usually wears a sailor shirt, cap, and a red or black bow tie, but no trousers (except when he goes swimming). 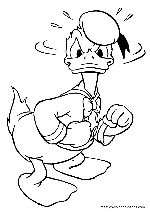 Donald's most famous personality trait is his easily provoked and explosive temper. 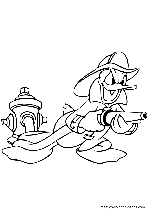 According to the Disney canon, particularly in the 1942 short Donald Gets Drafted, Donald's full name is Donald Fauntleroy Duck. 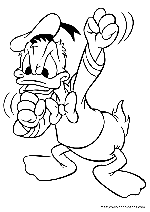 Donald's birthday is officially recognized as June 9, 1934, the day his debut film, The Wise Little Hen, was released. 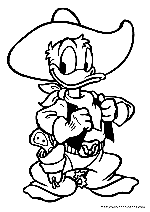 However, in The Three Caballeros (1944), his birthday is given as simply "Friday the 13th", which is in reference to the bad luck he experiences in almost all his cartoon appearances. Donald's Happy Birthday gives his birthday as March 13. 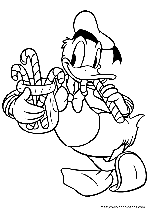 Donald Duck is a well-known and very popular character especially in Scandinavian countries. 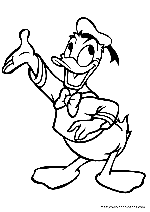 Donald's voice, one of the most identifiable voices in all of animation, was performed by voice actor Clarence "Ducky" Nash up to his death in 1985. It was largely this semi-intelligible speech that would cement Donald's image into audiences' minds and help fuel both Donald's and Nash's rise to stardom. In 1969, Disney On Parade which toured all over the United States and Canada, hired Ellard Davis as the live voice of Donald Duck. Mr. Davis did the voice for 3 years. 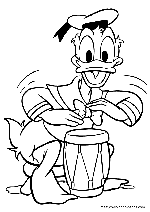 Since 1985, Donald has been voiced by Tony Anselmo, who was trained by Nash for the role.Donald Duck is a V.I.P. member of the Mickey Mouse Club. 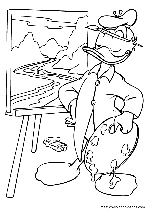 Donald's dominant personality trait is his short temper and, in contrast, his positive look on life. Many Donald shorts starts with Donald Duck in a happy mood, without a care in the world, until something comes and spoils his day. 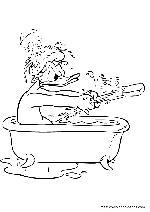 His anger is a great cause of suffering in the duck's life, and he has on multiple occasions got in over his head and lost competitions because of it. There are times when he fights to keep his temper, and he has succeeded a few times, but he always returns to his well known, aggressive self at the end of the day. Donald's aggressive nature is a double-edged sword however, and while it at times is a hindrance and even a handicap for him, it has also helped him in times of need. 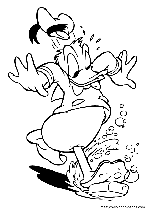 When faced against a threat of some kind, Donald may get frightened and even intimidated (mostly by Big Bad Pete), but rather than getting scarred, he gets mad and has taken up fights with ghosts, sharks, mountain goats and even the forces of nature. And, more often than never, Donald has come out on top. Donald can at times be a bit of a bully and a tease, especially against his nephews and Chip and Dale.